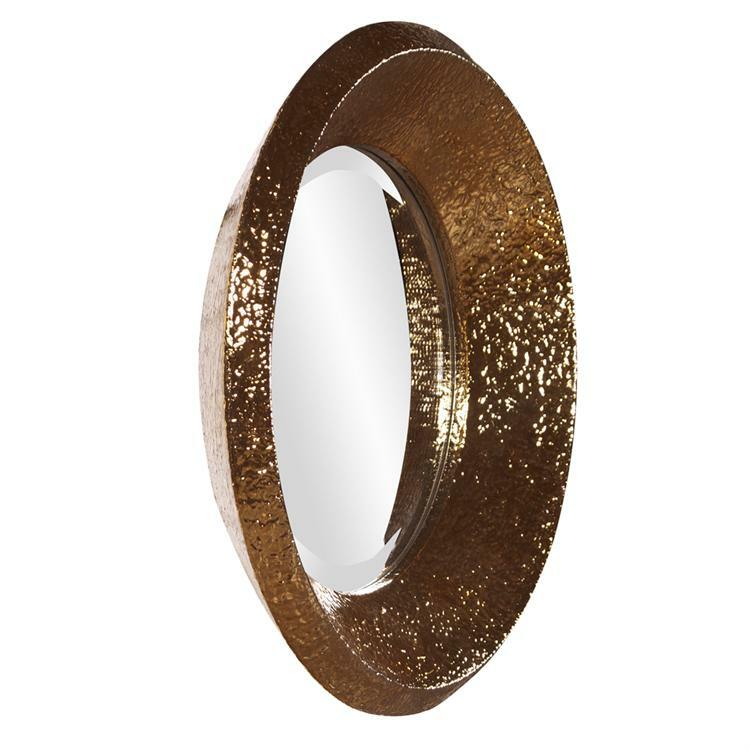 This striking round mirror features a concave shaped frame that angles away from the wall. It is characterized by its hammered texture and brilliant metallic copper finish. The New York looks great on its own or grouped in an arrangement with the convex version too! It is a perfect focal point for any design. The mirrored glass on this piece has a bevel adding to its beauty and style. Customizable for larger orders.